First let’s look at the settings in Showit which can cause the blog as a whole not to display or not to display properly if not set correctly. If you look to the left sidebar under the site tab you will see the “blog templates” area, here your blog template pages are contained and it’s important to make sure the template settings are correct. There is one other setting that can affect the blog in Showit, you will need to make sure under site settings you have the domain set in the blog tab and have published. If the domain is not set there, you may have issues with the blog displaying. If all of the above settings in Showit are correct, head over to your WP Dashboard and use the info below to make sure your settings are correct there as well. First we want to check the pages in the blog. There should a page setup in the blog that has no content and is simply titled blog, this is necessary for Showit and Wordpress to communicate with each other. If there is no blog page there, simply click the add new option, name the new page “blog” and publish the page. 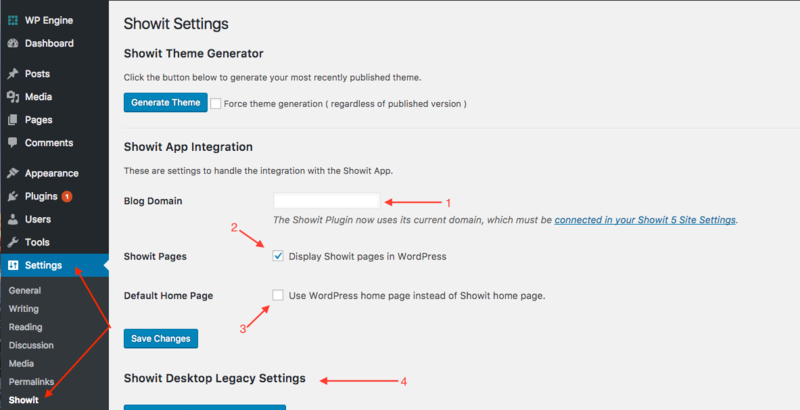 If the blog page is properly in place let’s next take a look at our Showit settings in the WP dashboard. To access these settings hover over settings in the left sidebar and go to showit. 1. Make sure your blog domain is set here, it should be set automatically. 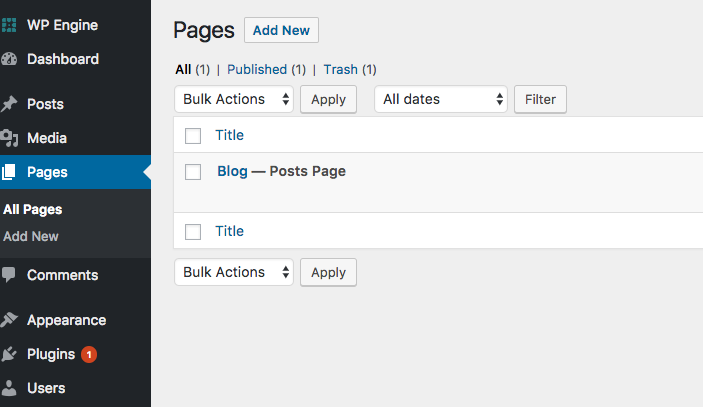 However if this field is editable click inside the field, delete the content and then save changes, it should add your correct blog domain automatically and grey out the box. 2. Make sure the “display Showit pages in Wordpress” box is checked. 3. The “use Wordpress as home page instead of Showit home page” box should be unchecked for the standard setup unless you are utilizing a blog page for your home page, if you need help with this, contact support! 4. You can disregard any settings below this point, they shouldn’t be affecting anything with the display of your blog. If everything checks out in your Showit settings, let’s move on to the reading settings. To access these settings look to the settings tab in the left sidebar and choose the “reading” option. 5. This bubble should not be selected. 6. This is the setting we want to have selected. 7. The front page option should be blank and set to “select” the only exception to this rule is if you are looking to use Wordpress for your homepage, if so feel free to contact support for more info. 8. 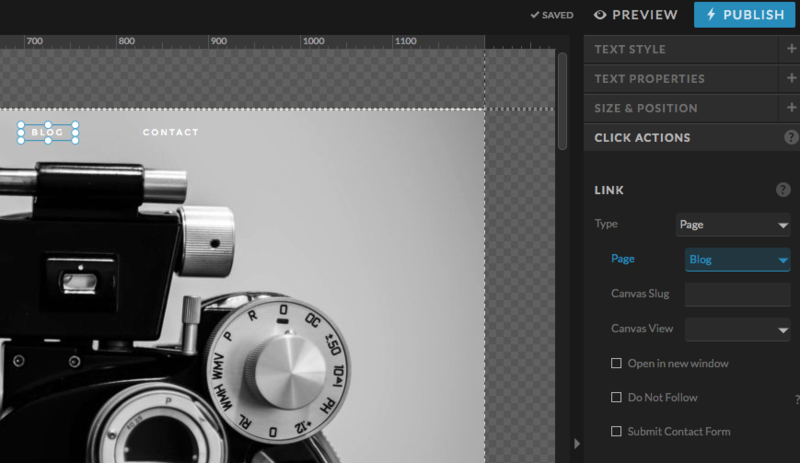 The posts page should be set to “blog” as this is how Showit and Wordpress connect to communicate back and forth. 9. 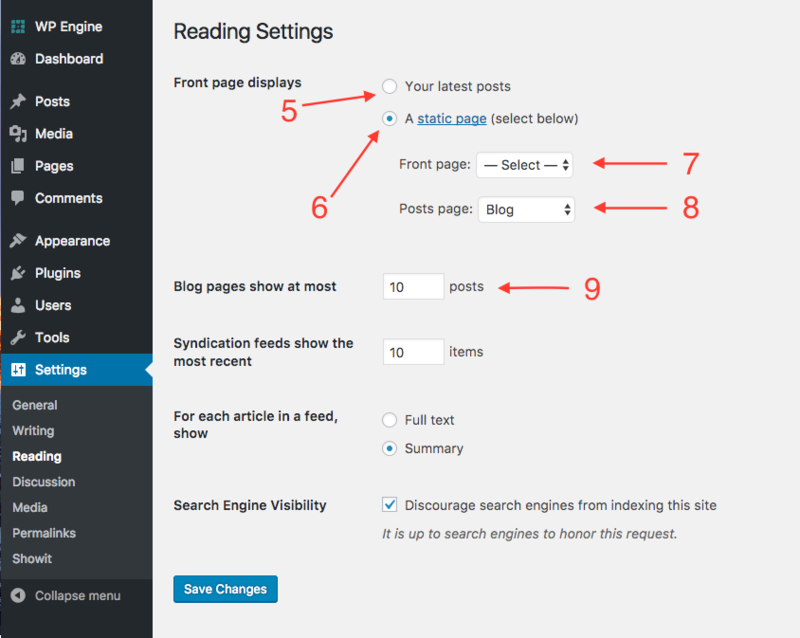 This setting won’t affect if your blog displays but how you can choose how many posts per page you want the blog to show by adjusting this number and saving. If the blog you are seeing live doesn’t look like the design you created in your Showit backend, it could be as simple as the wrong theme set. 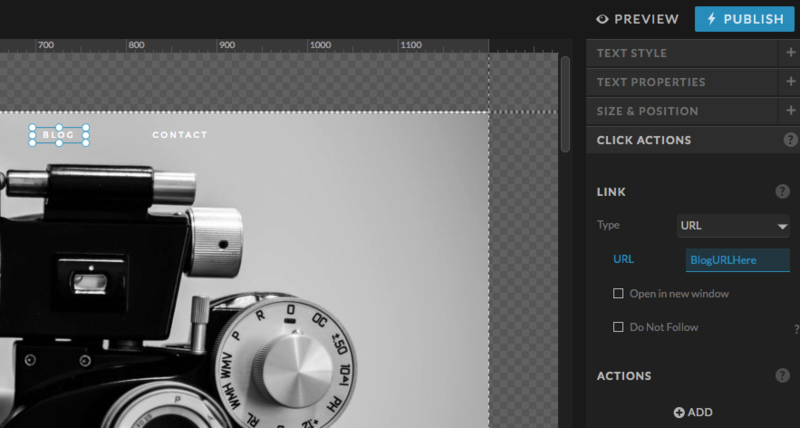 To check this hover over appearance and go to themes. If you are on our tier 2 basic blog subscription this should be set for you by default. If the Showit theme is set then everything is fine, if not click on the Showit theme then select activate. So you’ve checked through all the settings and something is still up, maybe changes you’ve made to the blog design aren’t publishing. There is another option, much like how your browser can cache old data, so can Wordpress. The screenshot below will show you how to flush that cache! 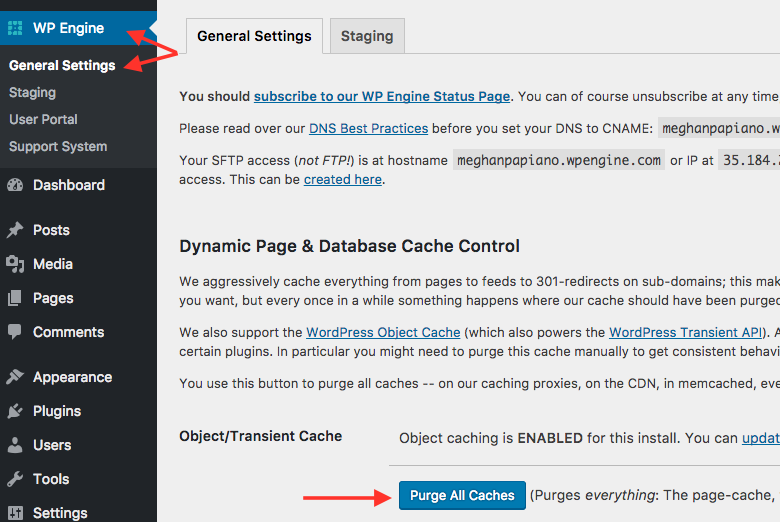 If flushing or purging your Wordpress cache doesn’t work then you will want to contact our support team for further assistance in troubleshooting the issue.Learn the basic blog settings you should see in your blog to ensure everything is connected and functioning properly.